This appears to be a manga adaptation of the 2014 film, Appleseed Alpha, which seems to be an alternate telling of the main characters' origins. In the world of Appleseed, a third world war has left the world in ruins. This alternate story begins with Deunan Knute and Briareos traveling together as lovers, with Briareos already as a full cyborg. They arrive at the ruins of NYC, where they meet the local leader, Two-Horns, who gets them involved in the local situation. Suzu is the daughter of a family with a well-established tea house, and she has been raised to love and appreciate the brewing and tasting of Japanese green tea. One day, she helps out a woman who gives her a delicious kind of tea she's never tasted before. In search of finding this tea once again, Suzu heads out from her home on a tea journey, where she will encounter many new teas and tea makers. This manga features stories of love involving people living in the Hanazono apartments. The first story follows Ruri, a teenager who lies to her former-yankee protective older brother in order to visit her crush, former-yankee Tsukasa, in his apartment each day. Ruri's feelings are obvious, but does Tsukasa return her feelings? What will happen when her brother finds out where she's been spending her time? The next stories follow other inhabitants of the apartment building and their experiences with love. Chabashira Club would probably be a fun one for people who are interested in Japanese tea. Appleseed Alpha is likely of interest to fans of the original Appleseed (I have not read/watched it myself). Finally, Himitsu no Hanazono Apato has a variety of stories for fans of Shoujo-style romance. 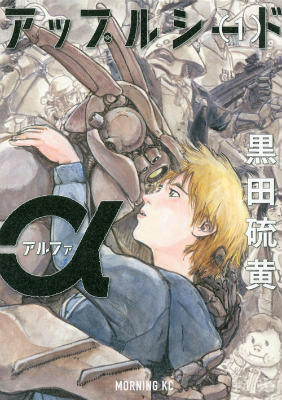 Appleseed Alpha - If you like the original Appleseed manga/movie/etc and you want more or you like sci-fi action manga, then you should check this manga out. 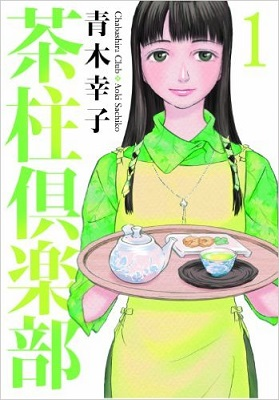 Chabashira Club - If you like manga about various teas, then this manga may be more your style. Himitsu no Hanazono Apato - If you want a little more romance in your manga, then you should take a look at this manga instead. Copyright (c) 2007-2017 by MangaHelpers. All rights reserved. All times are GMT . The time now is 05:54.